Can our marriage overcome infidelity? I have been married for 29 years. Over 2 years ago I had an affair as I felt that I was unable to get the love I wanted in my marriage. Although I didn’t start out to deliberately do this, it continued for about a year and a half. I kept a journal to process my feelings and my husband found the journal a few weeks ago. Our relationship has been shaky for years, but we both still love each other. We are now in the process of divorce, but I wish we could work on making the marriage work again. I am so saddened by this. I’d ended the affair when the duplicity of my actions was getting in my way of making the marriage work and we’d been in counseling when the journal was discovered. 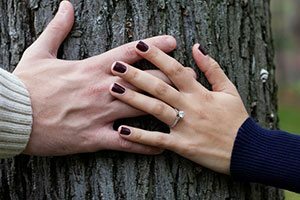 Is there anything I could possibly do to make my husband understand that he is who I want to be with so we can remain married and work on our marriage? The affair, if approached skillfully by both of you, could be a kind of blasting powder that could tear down the wall that has haunted your marriage. But this would mean that both of you would be willing to face and deal with the deeper emotional elements in each of you that led to the wall being built in the first place. I assume that you will have told him you are deeply sorry for the pain this has caused him, and that you completely understand and support him if he wants to opt out of the marriage, even though this is not what you want at all, because you are fully are prepared to accept the consequences of your action. If you have any connection left with him after that, or any ability to authentically communicate with him, you can express your invitation to him to put this crisis to its best use — and look at how it can lead to a quantum shift in each of your own healing through this time of pain and anger — and that you are fully prepared to engage with him in that process, and to support him emotionally in dealing with his feelings of betrayal over this affair, if he chooses to join you.